Larry Van Tuyl: "If you perform, you can always grow." 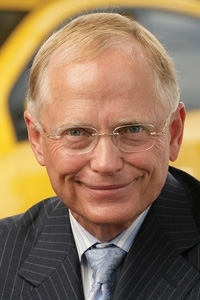 Selling to a highly respected outside investor such as Warren Buffett may have been the ideal exit strategy for Van Tuyl Group -- and one of the few exit paths available to such a large automotive retailer these days, said some dealership buy-sell advisers. But Larry Van Tuyl doesn’t see it that way. The buy-sell advisers’ logic is straightforward. It probably would have been difficult for Van Tuyl, with its 78 stores selling 28 brands primarily in the popular Sun Belt states, to be acquired whole by another dealership group. There likely would be too much overlap of markets and franchises for such a deal to be readily approved by automakers, which put limits on store ownership through their framework agreements. The only other alternative would have been a lengthy, piecemeal sale of the group, store by store. But that’s not the full story, said Van Tuyl, CEO of the dealership group. He will become chairman of the renamed Berkshire Hathaway Automotive after the sale closes. The dealership group’s strategy has been to offer an equity stake in each store to that store’s general manager to increase the entrepreneurial sense of ownership. Van Tuyl will generate $9 billion in sales this year, he said. And, given the consolidation opportunities in the industry, who knows what that number could look like in 10 or 15 years?